I got a tip a while ago about the presence of a Funko POP! 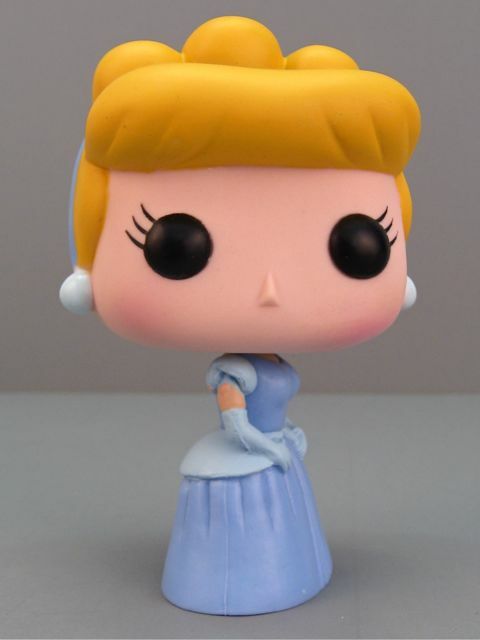 Cinderella figurine. This captured my attention for three reasons. First, Cinderella. Second, the name: "Funko Pop" sounds cool and is fun to say. 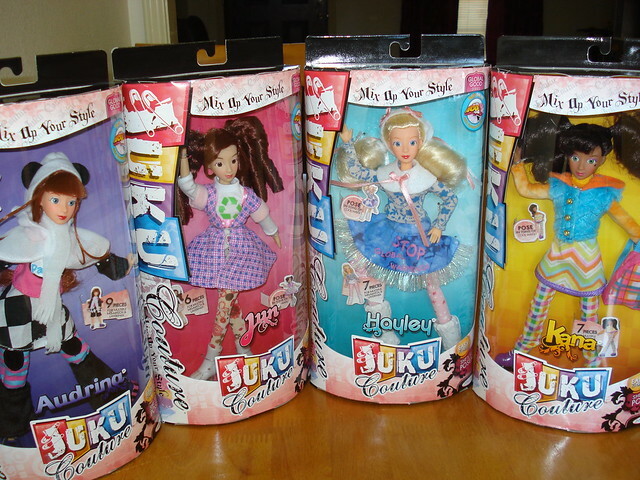 Third, I had never heard about Funko before, and I love learning about doll and toy companies and their products. I decided to investigate. Funko is a 15-year-old Washington-based company that is best known for making bobbleheads. They also make a variety of pop culture items including action figures and plush toys. The POP! line is a series of large-headed vinyl figures that are about 3 1/4 inches tall. These toys have the proportions of bobble heads, but their heads don't bobble. The figures cost anywhere from $1 (used) to $800 (discontinued), but the average price is about $10. Cinderella was $8.99 at Amazon. Over the last year, I have had several requests to review one of the Disney "Princess & Me" dolls. I can understand why people are curious about these dolls. First of all, at just under 20 inches tall, they make impressive gifts. In addition, they portray the beloved Disney Princesses, and so collectors and enthusiasts of these characters will be tempted to own a large version of their favorite heroine. 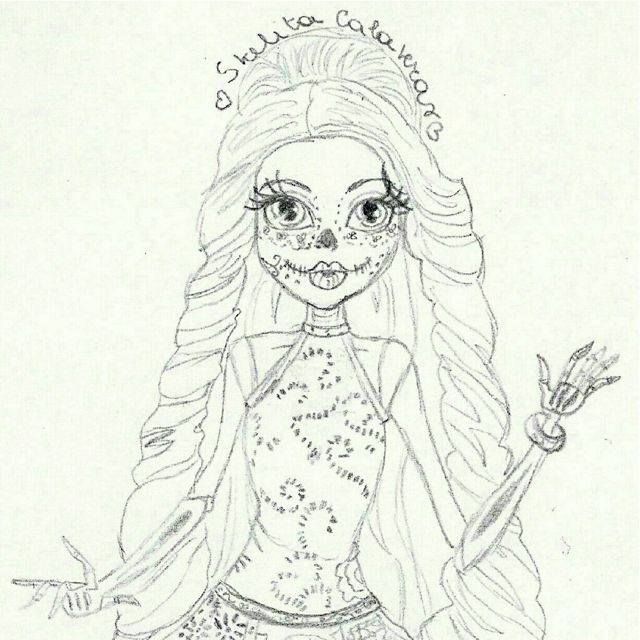 Also, these dolls are comparably sized to many slim 18" play dolls like Carpatina, Kidz 'n' Cats and Magic Attic, which makes clothes-sharing an added temptation. To be honest, I always walk a little faster past this section of the Disney doll aisle, purposefully avoiding eye contact with these huge princesses. Their oversized faces and round, staring eyes freak me out a little. Also, the price tag is a bit of a stunner. All of the dolls cost $50 except for the Diamond Edition Cinderella, who (because of a bigger dress?) is $60. That's really expensive for a Toys R Us play doll. So, I have been reluctantly watching for a sale, but secretly hoping that I would never need to bring one of these large, glassy-eyed girls home with me. 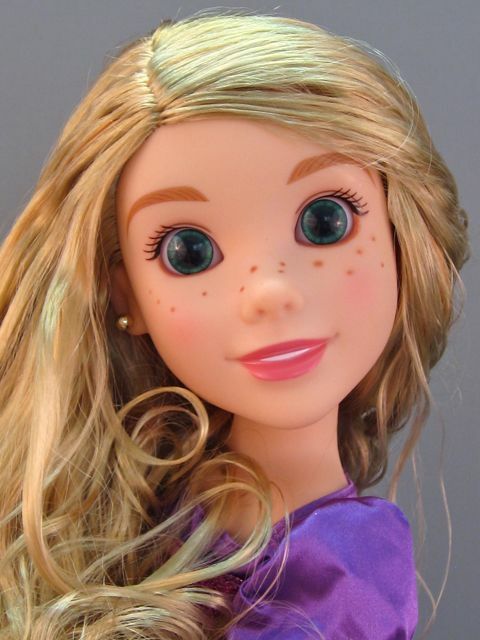 Disney "Princess & Me" Rapunzel doll. "Spring break had just begun, but I was bored already. After a few minutes thinking what I could do, I came up with an idea: I wanted to write a guest article for my favorite blog, The Toy Box Philosopher. So the first thing I had to do was to ask Emily if it was okay for her. 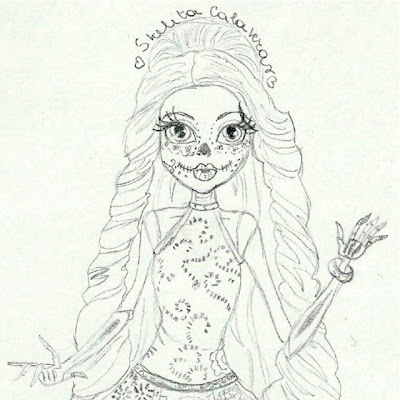 She agreed, so I started writing my first written doll review. It seems fitting that I stumbled upon China Girl while I was writing my post about antique dolls. I had crazing, cracking and bisque on my mind as I was wandering the aisles of Target, and I could barely believe my eyes when I saw a plastic doll made to look like she was made out of porcelain. Without knowing a thing about who she was, I handed over $19.99 and brought her home. The China Girl is actually a character from the new movie, Oz, The Great and Powerful. I haven't seen the movie yet, but I've read that while it might not live up to its predecessor (how could it? ), and there might be some script and casting fumbles, the special effects are jaw-dropping and the China Girl character steals the show. I'll probably love it. The thing is, there's no need to watch the movie to enjoy this doll. I can safely say that there is nothing on the toy shelves even remotely like her. Both The Disney Store and Jakks Pacific have released a full line of dolls based on characters from this movie. Most of the dolls are 1:6 scale, like Barbie. 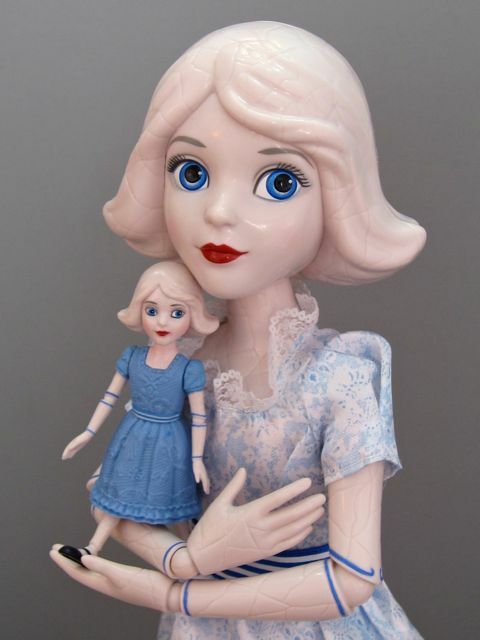 The Disney Store offered a 19" limited edition version of The China Girl ($179.50, sold out) that was actually made out of porcelain. They also made a 4" Polly Pocket style vinyl version ($9.99, sold out). 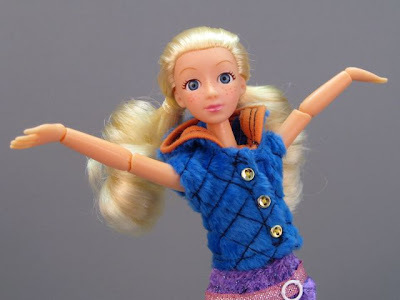 The Jakks Pacific China Girl is 14" tall and highly articulated. She's just shy of being a life sized version of the movie character. 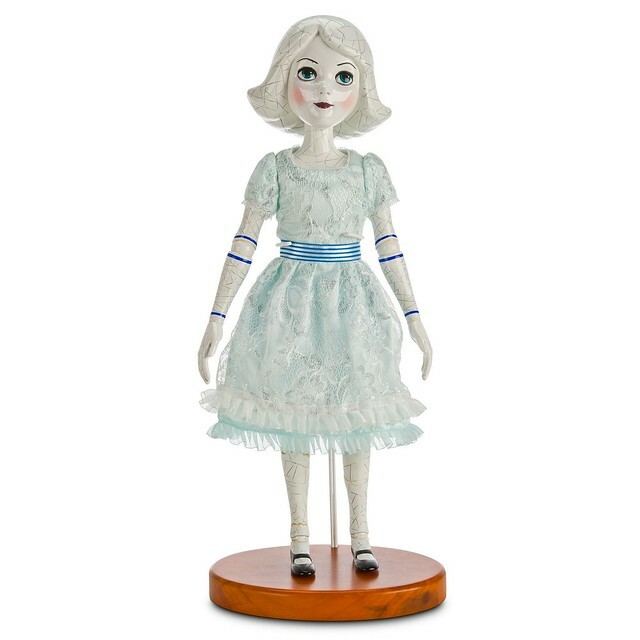 and 14" Jakks Pacific China Girl ($19.99).